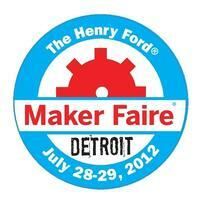 Maker Faire Detroit is coming up fast! Two bits of Maker Faire news to share. First, it looks like i3 Detroit will be hosting the official Maker Faire afterparty. Details to follow, but the murmurs I hear from the planning team are interesting indeed. The Maker Faire Detroit Call for Makers has been extended to accommodate the tremendous response we have received from groups and individual Makers! You now have until Friday, June 15th to complete your application or start the process. Thanks to all the Makers that have already completed their applications, we have been accepting applications weekly. We will be sending the Maker Manual with all the information you need as well as the agreement in the next couple of weeks. Once you sign and return that agreement to us, we will place you in the Faire. https://www.i3detroit.org/wp-content/uploads/2014/03/Logo_large_png8-300x98.png 0 0 Nate Bezanson https://www.i3detroit.org/wp-content/uploads/2014/03/Logo_large_png8-300x98.png Nate Bezanson2012-06-07 07:58:402012-06-07 07:58:40Maker Faire Detroit is coming up fast! area. The hallway continues north. to have been converted into a small vehicle, scooting around the table. music thumping behind it. The hallway continues south. A Notacon 9 conference badge circuit board with nothing soldered to it. A half-empty bottle of Bawls energy drink. A printed conference program, folded open to the puzzles section. A cheap set of lockpicks. A menu from the sushi joint across the street. Two 4GB USB flash drives. A towel with "Hilton" embroidered in the corner. Have you been learning to program with the Codecademy‘s Code Year program? It’s not too late to start! Participants are gathering around the world to celebrate their progress and compare notes, and i3 Detroit is the venue for the Detroit-area Code Year meetup. Like almost all of our events, non-members are explicitly welcome. Doors should be open by 6:30, meetup officially starts at 7. Who’s up for a trip to Ann Arbor? 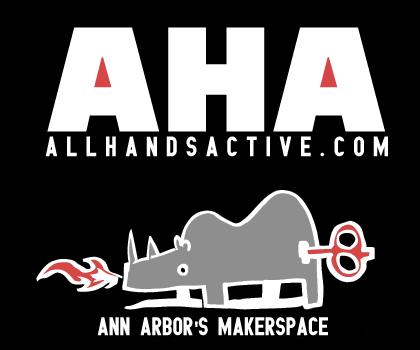 All Hands Active is having an open house!